Solar Mac is an experienced and well established company based in Johannesburg. We offer specialist products and services such as solar heating panels, heat pumps, salt water chlorinators and geyser solar heating. 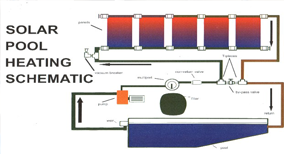 We operate out of Kempton park offering our services in pool heating to Johannesburg, Gauteng and adjoining provinces. Solar Mac has a cornucopia of elated & appeased customers throughout Gauteng and neighboring areas. Our honesty and integrity is very important to us as we believe they are essential to the growing success of any establishment. We as a company try our best to incite peace of mind to any customers' investing in our services or products. It is for this reason that Solar Mac staff members pride ourselves in making sure we never under design a system or make false promises. What can Pool Heating Johannesburg offer me? 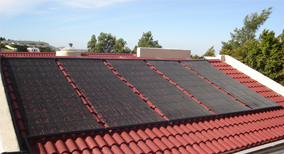 Pool Heating Panels - Solar Mac are agents for the Delta-t solar panel designed and manufactured by Solar Specifics based in Cape Town. Each panel carries a ten year factory guarantee when installed by a factory approved agent. Heat Pumps - Solar Mac use Pool Team Heat Pump, the preferred choice for operating efficiency, durability and reliability by professionals in the swimming pool industry. All heat pumps that we offer come with a 2 year warranty on the unit and 5 year warranty on the heat exchange coil and compressor. Solar Geysers - Solar Mac markets and installs various makes and types of locally made Solar geyser systems. These systems come with a 5 year warranty and have a 20 year life expectancy. Chlorinators - We use the Saline blue salt water chlorinator, which is locally manufactured and is self cleaning, low maintenance and user friendly. 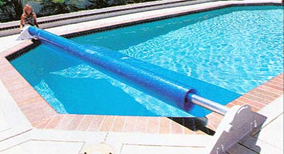 Pool Blankets - A thermal blanket will assist in keeping your pool warm by reducing evaporation from the warm water. For easy handling, roll up stations are available. This roll up station will also help to keep your blanket neat and tidy and damage free. General Maintenance - Solar Mac undertakes maintenance on all existing pool equipment and solar geysers. This includes pumps, filters, chlorinators etc. Why choose Pool Heating Johannesburg? Solar Mac has a very well established performance history, providing countless hours of enjoyment to thousands of customers as well as professionals in the field like swimming coaches, scuba instructors etc. Our companies are registered with associations such as SESSA for Solar pro and the NSPI for Solar Specifics etc. These long standing associations have an outstanding reputation and are well known to the public. Being proudly South African we at Solar Mac do what we can to market locally manufactured equipment for pool heating in Johannesburg. We offer very competitive prices, but never at the expense of quality. We come equipped with decades of experience in the solar water heating industry and will strive to never let you down.